"The cows perform well on the yeast…"
The cows have always been good at utilising forage at Brook House Farm near Whitchurch, Shropshire, and, when a problem arose with silage quality, introducing Actisaf® premium yeast probiotic significantly improved cow performance across both silage and grazed grass. Paul Bradbury farms in partnership with his wife, Dee, and son, David, milking 120 Holstein Friesian cows, which calve all year around, with average yields of 8,500 litres. 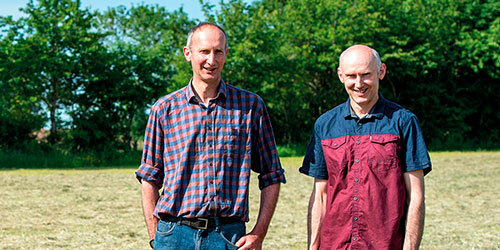 “Our aim is to drive our system from a foundation of quality forage,” explains Paul. 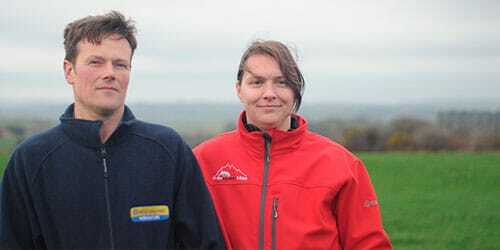 “We graze whenever possible and have invested in tracks to help increase grass utilisation. Grazing is cheaper than silage and we know from analysis that it is a high-quality feed, in part because of our reseeding policy, although quality can be inconsistent across the season and, depending on the weather, even from day to day. “We’ve also put emphasis on producing the highest quality silage, regularly reseeding and analysing silage to help us address problem areas. Last winter we noticed that the cows just weren’t performing as we’d expect and I knew there were issues with the grass silage. Their dung was loose and fizzy and they just looked uncomfortable. 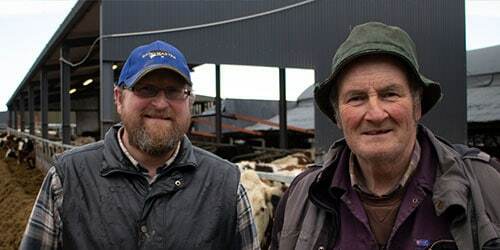 You could tell that rumen function had become an issue,” Paul explains. 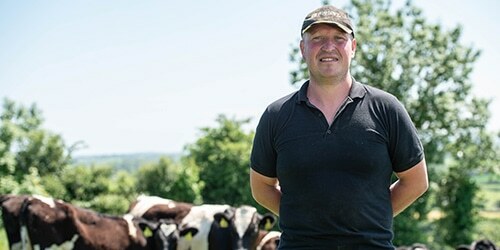 Wanting to help cows manage the challenge of diet transition when they move from silage to grass and dealing with inconsistencies within the diet led Philip Jackson from HJ Lea Oakes to suggest to Paul that he consider the inclusion of Actisaf® yeast probiotic in the cows’ blend. “The Actisaf® yeast probiotic works in a number of ways,” explains Philip. It removes oxygen from the rumen and stabilises the bug population during periods of diet change or nutritional inconsistency that are so prevalent when cows are grazing. Including Actisaf® in the diet certainly seemed to address rumen function and so Paul continued using it when the cows went out to grass last year. This was to help manage the diet transition, and the inevitable variability in energy and protein content of grazed grass, as well as the range in dry matter intakes at grazing, which can result in inconsistent yield, fertility and milk constituents.